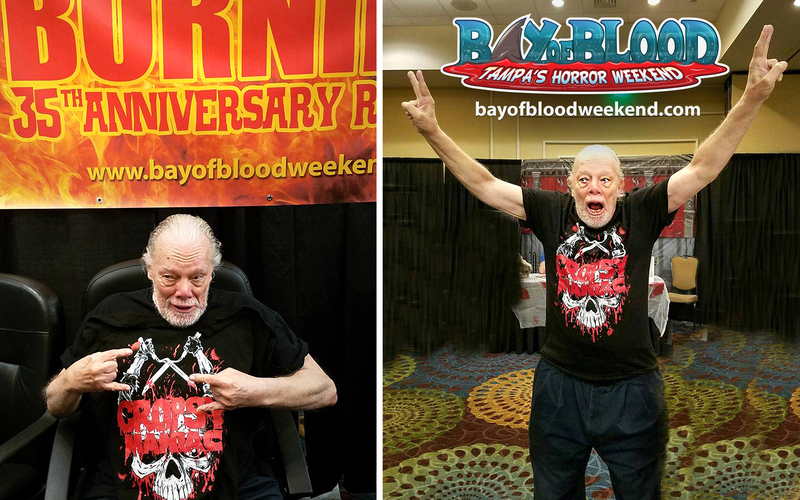 Thank You to all our amazing Celebrity Guests, Vendors and especially all the FANS who came out this September and made Bay of Blood Weekend such a success! 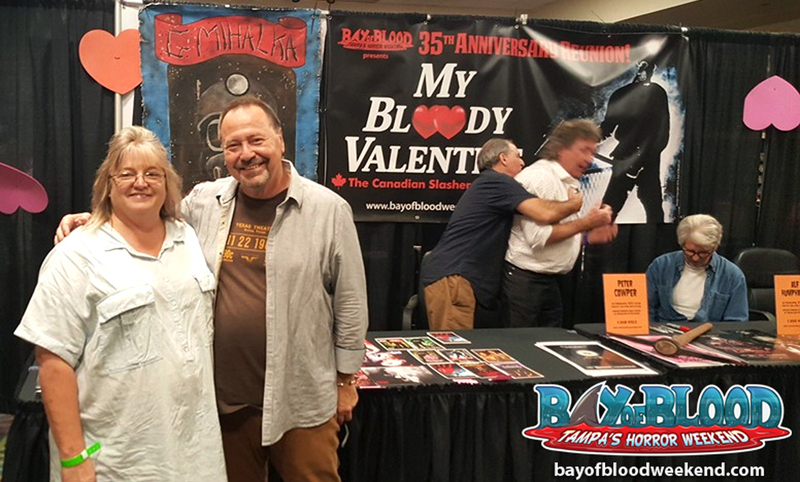 This was a truly special horror convention for fans and a dream come true for us! 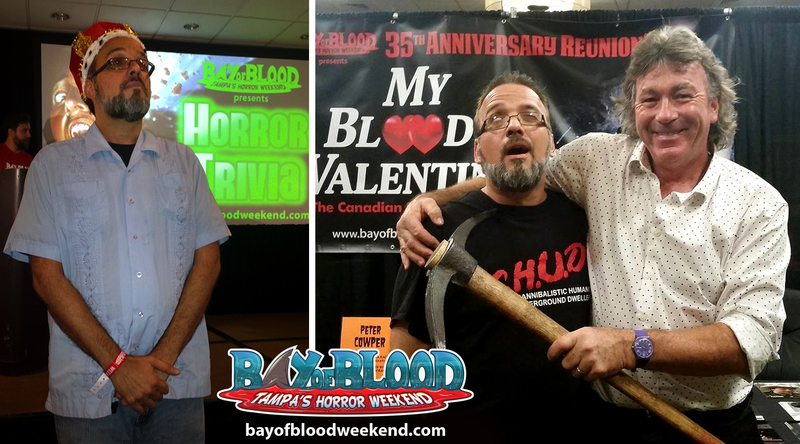 Please enjoy some of these memorable moments as we look back at Bay of Blood 2016! 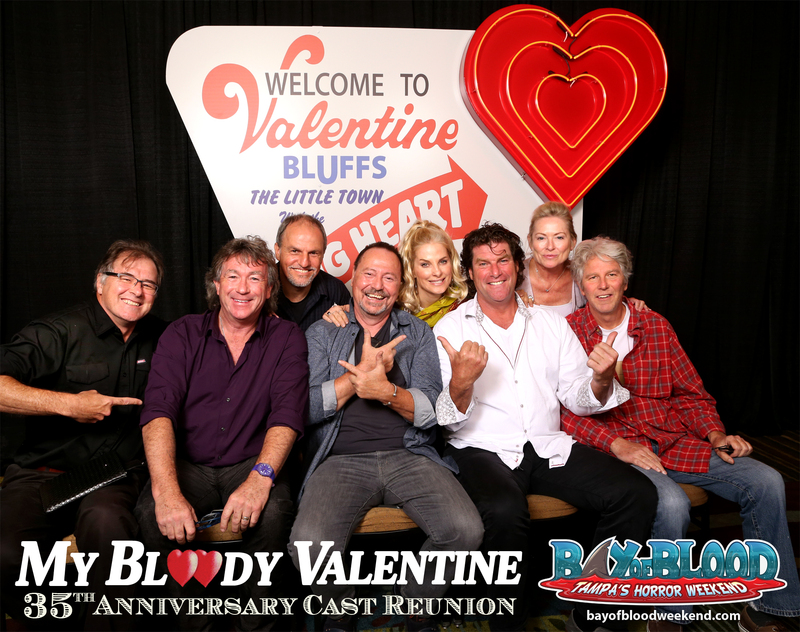 Bay of Blood Valentine’s Dance with cast members from My Bloody Valentine, The Burning and Friday the 13th, Part 2! 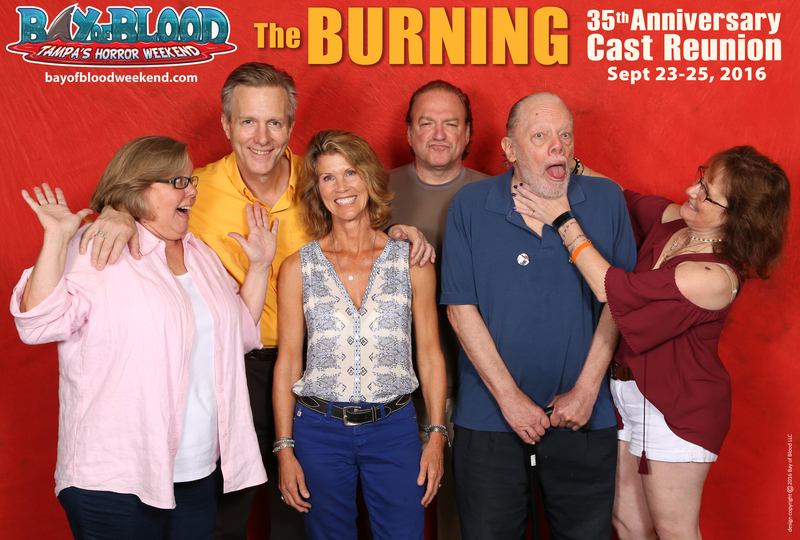 Larry Joshua hanging out with some die-hard fans of The Burning all the way from Portland, Oregon! 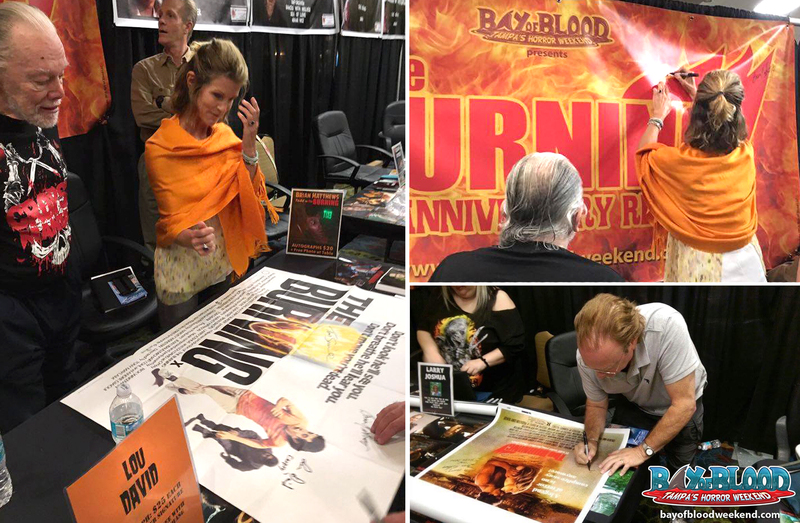 (left) Lou David, Leah Ayres & Brian Matthews marvel at a rare British quad poster for The Burning (top right) Leah signs our Bay of Blood 35th Anniversary Reunion Banner for The Burning (bottom right) Larry Joshua completes a cast-signed poster! 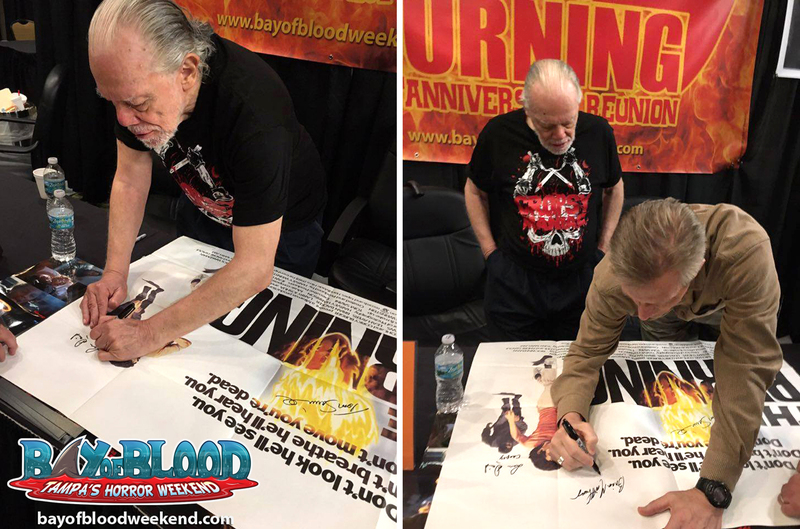 (left) Lou David signs above a striking painted image of Cropsey himself! (right) Brian Matthews ads his name to this rare gem! (left) Bonnie Deroski signs a rare Australian daybill for The Burning! (right) A beautiful cast-signed Japanese laser disc! Lou David truly embraced his identity as the “Cropsy Maniac”, sporting a T-shirt given to him at Bay of Blood by a group of HUGE Burning fans (and members of the Portland, Orgeon heavy metal band with the same name!). (left) The long-awaited reunion of everyone’s favorite Camp Counselors, ‘Michelle’ and ‘Todd’, Leah Ayres and Brian Matthews! 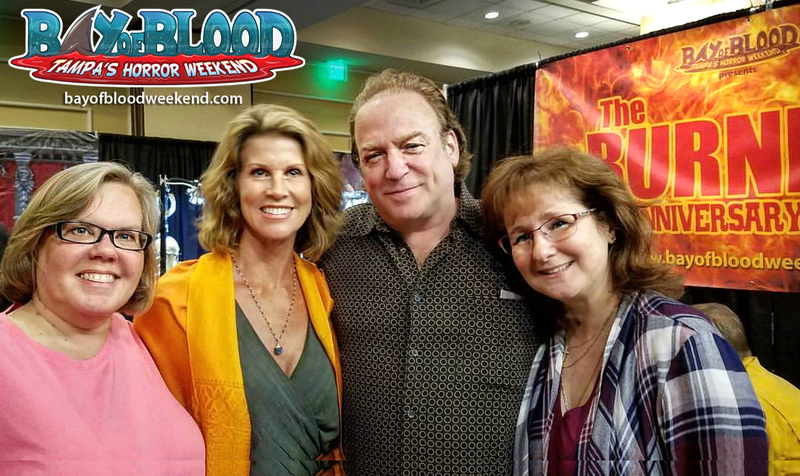 (right) Since ‘Marnie’ and ‘Tiger’ survived summer camp, Bonnie Deroski and Shelley Bruce were all smiles at Bay of Blood! 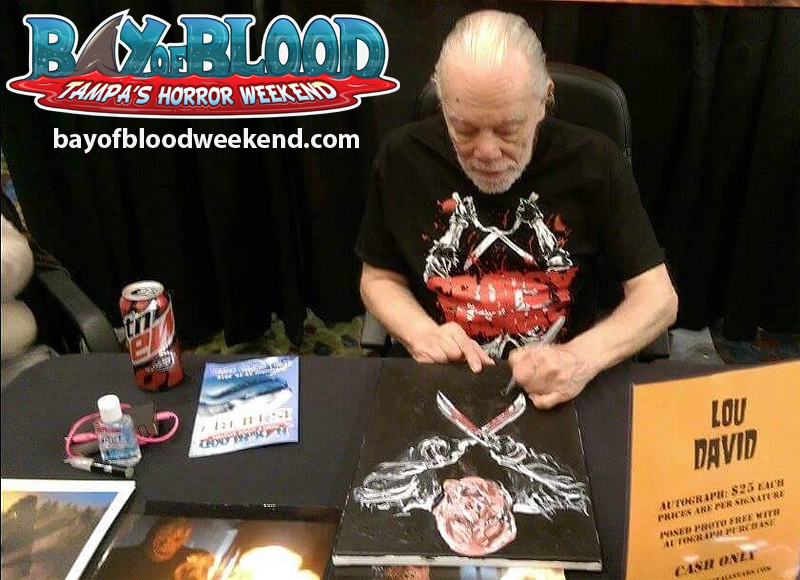 Lou David comes face to face with a creepy custom painting of Cropsy and his trademark shears! 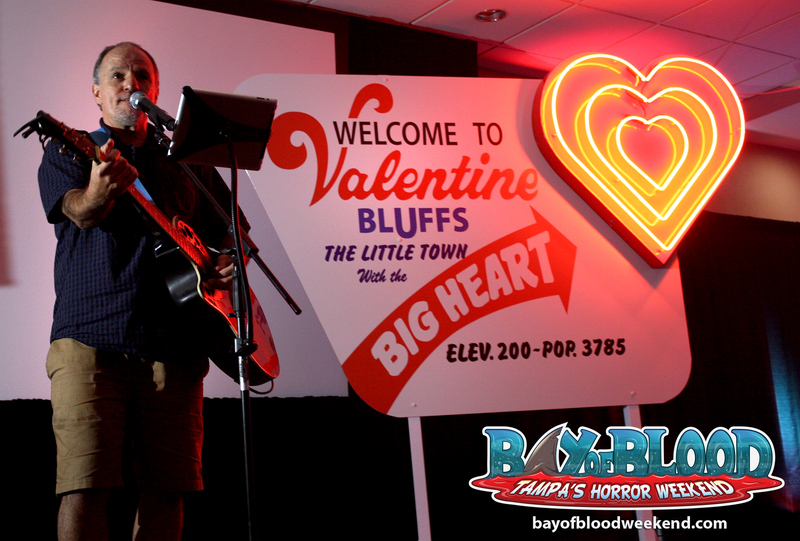 All the My Bloody Valentine fans loved basking in the blood-red glow of our Welcome to Valentine Bluffs neon town sign! My Bloody Valentine director George Mihalka poses with a fan while Tom Kovacs wrestles with Peter Cowper! The entire My Bloody Valentine cast sign a rare 40 X 60 U.S. subway poster – a true horror collector’s gem! 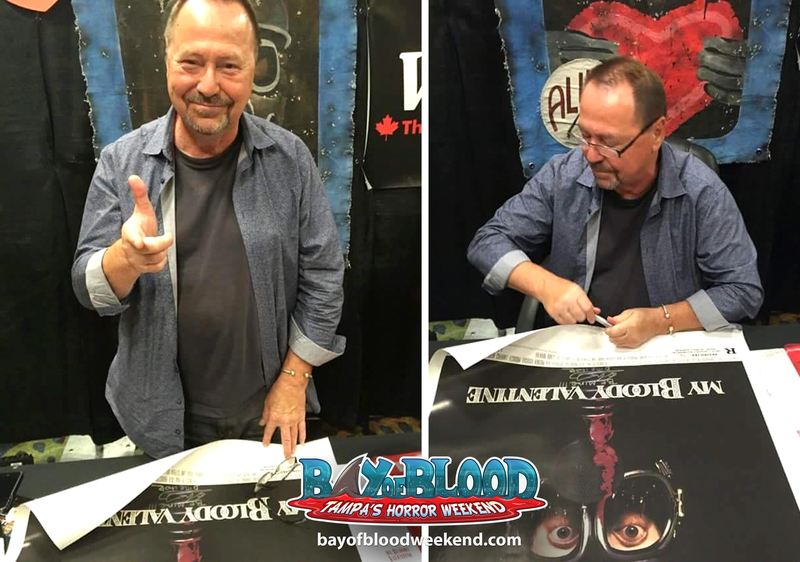 George Mihalka was always up for signing cool My Bloody Valentine memorabilia at Bay of Blood! 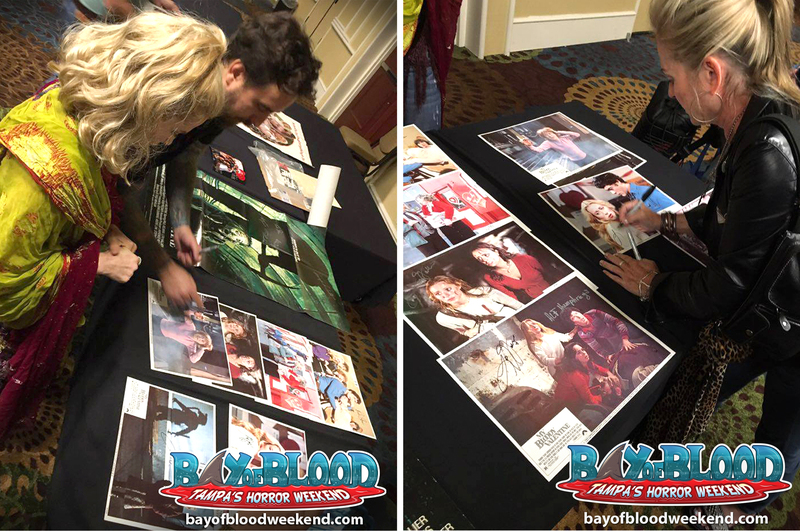 Helene Udy (left) and Lori Hallier (right) sign some rare and beautiful My Bloody Valentine movie memorabilia! 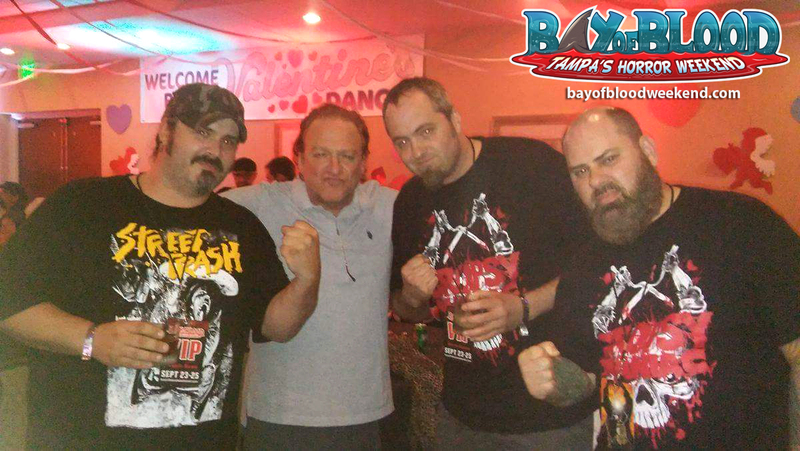 Not even Bay of Blood’s reigning King of Horror Trivia was safe from Harry Warden’s wrath! 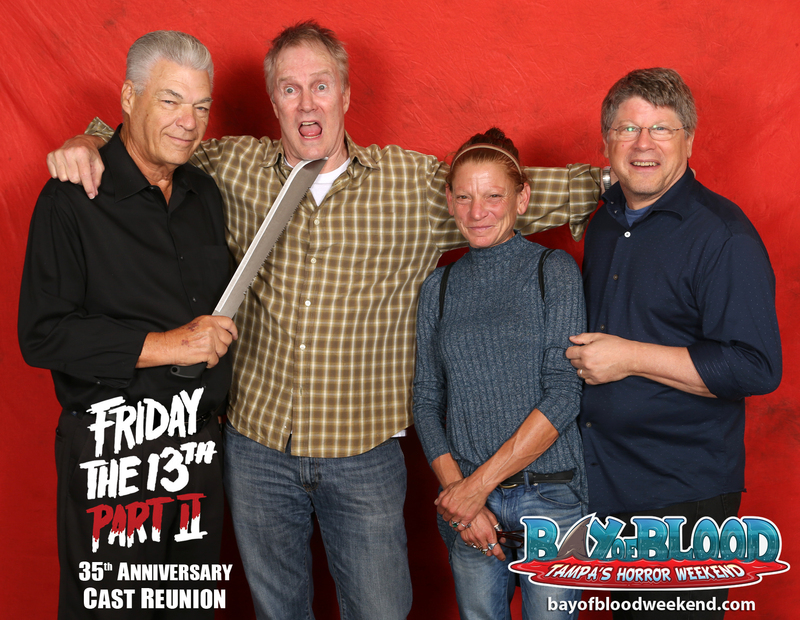 This lucky fan carted his original Pick-Up Summer poster all the way from Kentucky for Bay of Blood’s exclusive once-in-a-lifetime cast reunion of the film! This nostalgic collector’s item is now signed by Director, George Mihalka and stars Rob Stein, Tom Kovacs and Helene Udy! 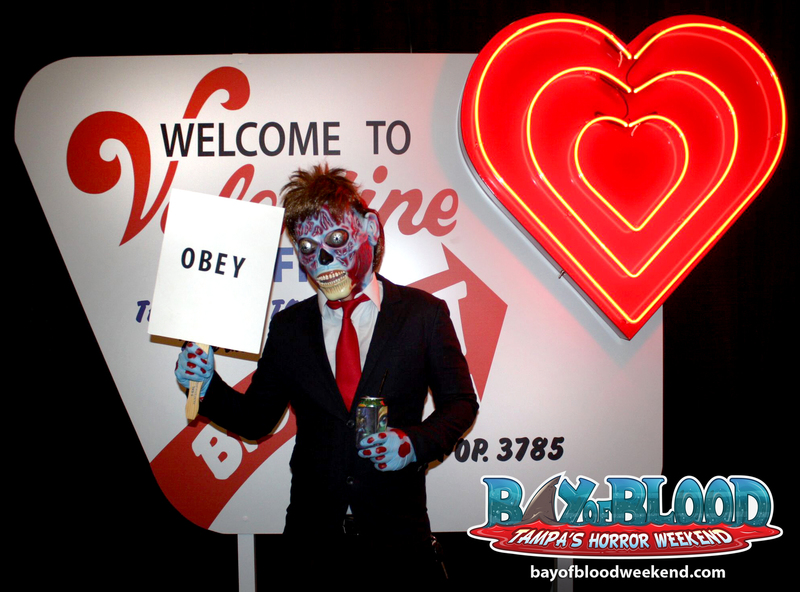 OBEY BAY OF BLOOD WEEKEND!